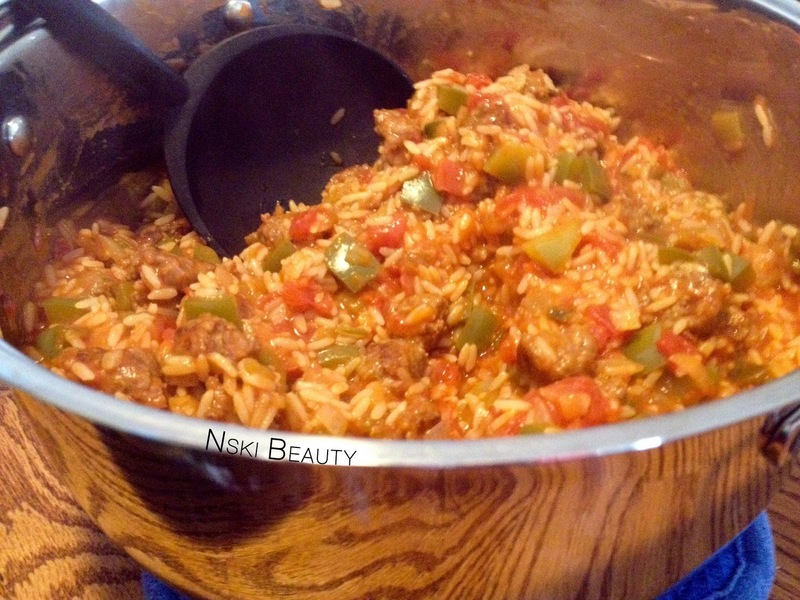 If you follow me on Twitter or Instagram you'll now I've had a new recent obsession with Jambalaya It pretty much started around Easter and hasn't let up since. What you may not know is I'm an EXTREMELY picky eater... Well not as much as I use to be.. Gregory has slowly fixed that over the years but the one thing that remains the same is I am "Fish weird" as we call it. I am very, very, VERY picky when it comes to any type of sea food I eat. As time goes on I've developed a taste for Mahi mahi, popcorn shrimp and tilapia but only if its made a certain way. But that is pretty much the extend of my sea food consumption. One thing I don't eat and HATE touching are shrimp... UGH ... I know I just said I eat popcorn shrimp but that is small and covered in bread crumbs ... (Like I said fish weird). One day I was going through Pinterest.. (doesn't every good idea steam somewhere from this amazing website?!) and stumbled across a Jambalaya recipe and then quickly sprinted to Target with Gregory (who DOESN'T love Target?!) and we proceeded to grab everything we needed. One thing I've learned over the years is that Gregory has an amazing sense when it comes to winging it on recipes and cooking. He is always adding or changing recipes around and they ALWAYS come out good... Me on the other hand if I'm cooking and winging it you better have poison control on hold... It's kind of sad but when it comes to baking I'm reining champ! Remove brats from casing, crumble into skillet and cook through. Drain and reserve. 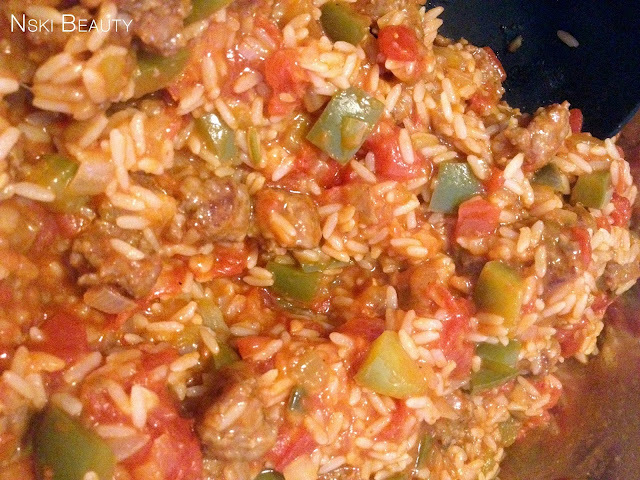 In a large saucepan, combine sausage, petite diced tomatoes, green chilies, stewed tomatoes, onion, green pepper and water. Bring to a boil. Add rice, reduce heat. Cover and simmer 20 to 25 minutes or until rice is tender. And that's it you're done. Now enjoy! YUM!